This bird is called a lammergeier. It’s funny, it reminds me of jagermeister the way it’s spelled and pronounced. 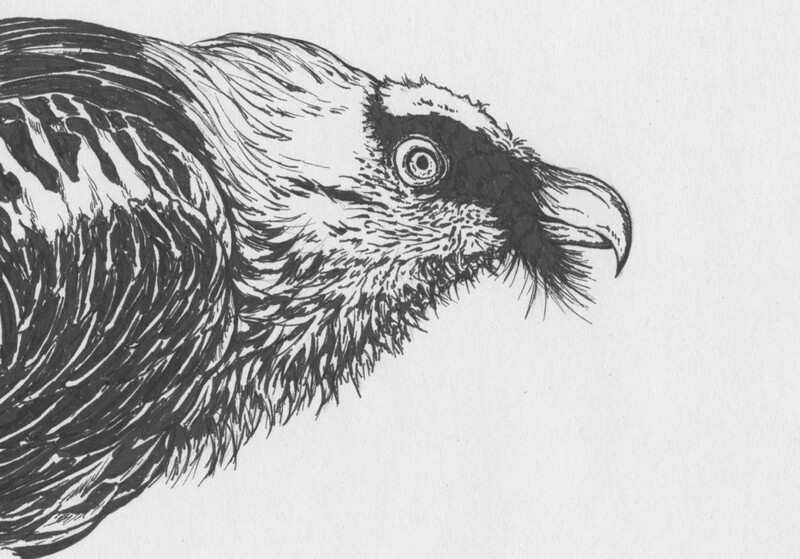 A more common name would be “bearded vulture”. Anyway, I just thought it was cute with his nice little beard, so here’s a portrait of the bird. Nice beard! Keep it up.